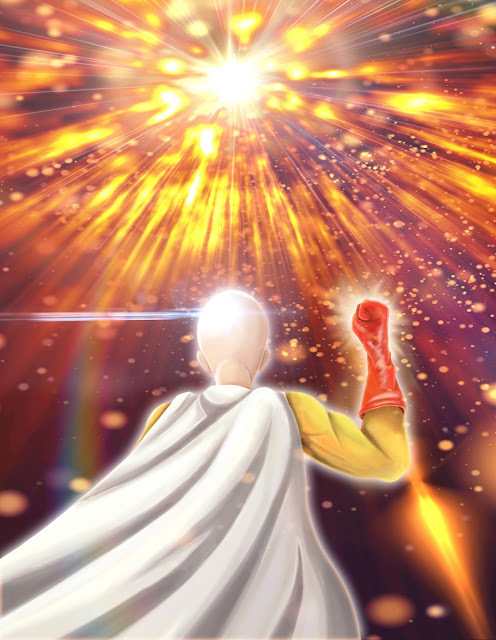 Two of the most powerful, bald heroes clashes together in an epic match up. One is an almost godlike being with unique power beyond human comprehension and known for his eccentric view of the world. The other is just a laid back hero that can basically defeat anything effortlessly and does his job as a hobby. These two seems to be the polar opposite, but at the same time are really similar to each other. And no, I'm not talking about their head, but instead the ridiculous amount of innate power they have. Who knows what would happens if both of them are actually going to fight each other seriously? 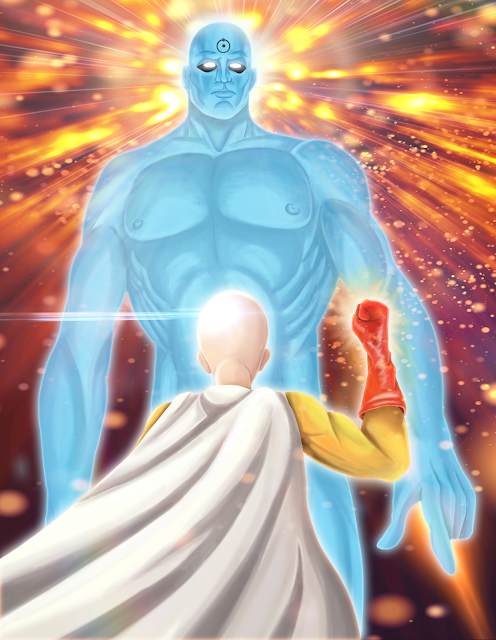 Dr. Manhattan, a being with a unique godlike power. 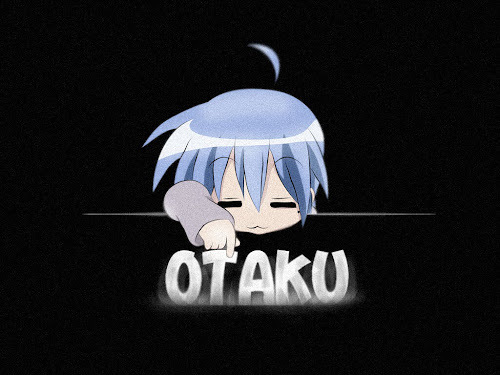 OTAKU CLUB 2015 ANIME AND GAMES AWARDS!